Which is exactly why I was pumped to try Blinkist, a new app that takes some of the most popular non-fiction books out there and breaks down their main points in audio clips or well-organized summaries that you can digest in 15 minutes. Fifteen minutes! That means in even a short 15-minute workout, you could read a whole book. 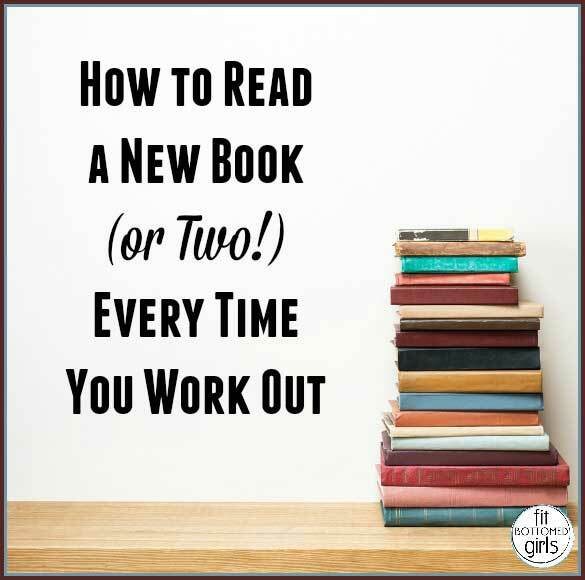 Or two whole books in a 30-minute workout. Or THREE books in a 45-minute … okay, you get the point. It’s awesome, right? Talk about a great way to get through a long run! And there are some great titles to choose from — 500 plus, in fact. There are books on how to tap into your creativity, how to be a better leader, how to take charge of your health, and some super well-known titles like The Art of Happiness and The Seven Habits of Highly Effective People. I wish they updated the library a bit more frequently, but with so many titles, it’s hard to complain. And for about $5 a month or $50 a year, it’s pretty darn affordable. Now I kind of wondered if in just 15-minutes they could capture the full gist of books, but from the books I’ve listened to that have been Blinkist-a-fied, it seems like they do. Most of the books in the Blinkist library aren’t super long to start with, and the summaries pretty much just take out the fluff (they couldn’t do that with our book though!) and give you the big take-home points you need to know. Kinda like CliffsNotes for grown-ups. All in all, it’s a great way to exercise your body — and your mind. Studies actually show that working out can boost memory and critical thinking as you exercise!